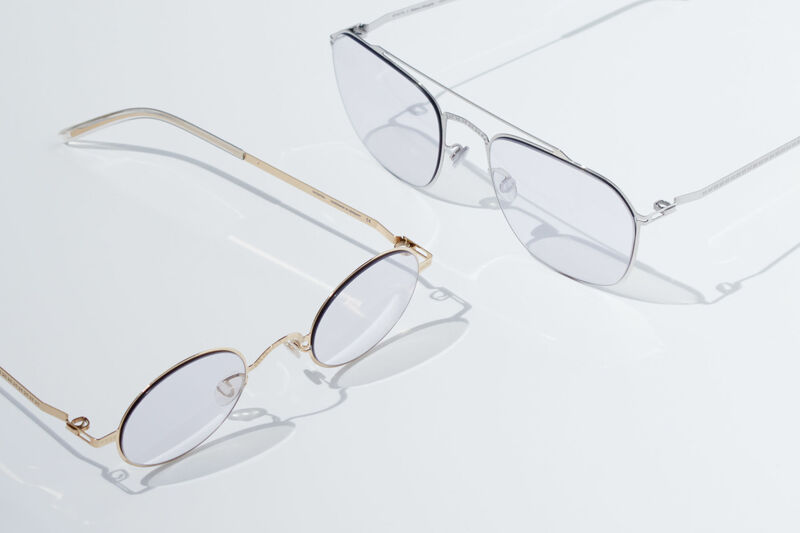 The next chapter in the MYKITA + MAISON MARGIELA collection presents optical eyewear design with that characteristic Maison Margiela flair for simple, everyday items with a conceptual twist. Prescription frames with small proportions and large impact: the new CRAFT optical models infuse turn-of-the-century eyewear styles with present-day iconoclastic appeal. Subtle, half-etched patterns on the steel surface demonstrate the beauty of new technology; lightly tinted grey lenses further underline the individual nature of the eyeglasses. With bold shapes and cropped edges, the RAW optical concept relies on the elegant click-in connection known from MYKITA mixed-material models. Steel temples are contrasted with the matt, untreated acetate surface and bevelled edges that defines the RAW concept. The steel temples ensure the necessary adjustability and wearing comfort required in optical models. The new optical collection is now available at all MYKITA Shops, selected worldwide opticians and fashion retailers.